The Tutu's Tale: A Cultural History Of Ballet's 'Angels' Ballet's history is not just about choreography and technique — it's also a history of nationalization, the changing ways we view the body, shifting gender norms and class struggles. Historian Jennifer Homans chronicles the art form in a new cultural history, Apollo's Angels. Dancers today, like these students taking a beginner's class, practice the same basic positions first introduced centuries ago. It is ballet season, which means many companies are performing The Nutcracker for the holidays and preparing their big shows for the winter months. And at the movies, Black Swan stars Natalie Portman as a stunning ballerina preparing for her leading role in Swan Lake. Everywhere you turn these days, you can see toe shoes — but there is a deep and fascinating history to the art form that few people know. 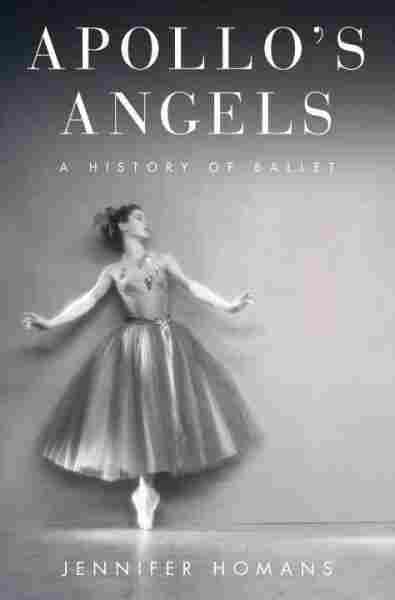 In her new book Apollo's Angels, historian Jennifer Homans — a former professional ballet dancer herself — traces ballet's evolution over the past 400 years, and examines how changes in ballet parallel changing ideas about class structure, gender, costume, the ideal body and what the body can physically do. The book chronicles ballet's transition from the aristocratic courtier world in Europe through its place as a professional discipline in the Imperial Court of Russia, and finally as a technique performed on stages throughout the world. Ballet's origins, Homans explains, grew out of the Renaissance court cultures of Italy and France. Dancers would perform at the royal courts — and then invite the audience members to participate. "It was a dance that was done by courtiers and kings and princes at court in social situations," she says. "It was not a theatrical art set off from social life." The first ballet dancers did not wear tutus or dance in satin shoes, but they did formalize the footwork patterns — known as first, second, third, fourth and fifth position — that are still used today. "Louis XIV realized that if his art form was going to be disseminated throughout his realm and even to other European countries, he would have to find a way to write it down," Homans explains. "So he asked [choreographer] Pierre Beauchamp to write some these positions. The positions themselves are the grammars of ballet, they're the ABC's, the classical building blocks of ballet." In ballet's early days, men were expected to perform the more extravagant and intricate footwork. It wasn't until years later, during the French Revolution, that female dancers became stars. "During the French Revolution, the aristocratic male dancer was really discredited," she says. "The hatred and bitter animosity toward the aristocracy had direct consequences for ballet. Why should you have this aristocratic art? If you're going to take down the aristocracy, why not take down ballet, too?" It was given an elevated form, so instead of stomping around, it became an image of the ethereal, a wispy sylph or somebody who can leave the ground or fly into the air. By the 1830s, men were actually reviled onstage, she says. "They're thought to be a disgrace," she says. "Female dancers take the ideals that existed in the aristocratic art form and turned them into a feminine and spiritual ideal of which they are the masters. Then you get this image of the ballerina on toe, in these more romantic-era ballets of sylphs and unrequited love and the romantic themes that carried ballet into the 19th century." Apollo's Angels was recently named one of the top five nonfiction books of the year by the New York Times Sunday Book Review. Jennifer Homans performed with the Chicago Lyrica Opera Ballet, the San Francisco Ballet and Pacific Northwest Ballet during her career as a professional ballet dancer. 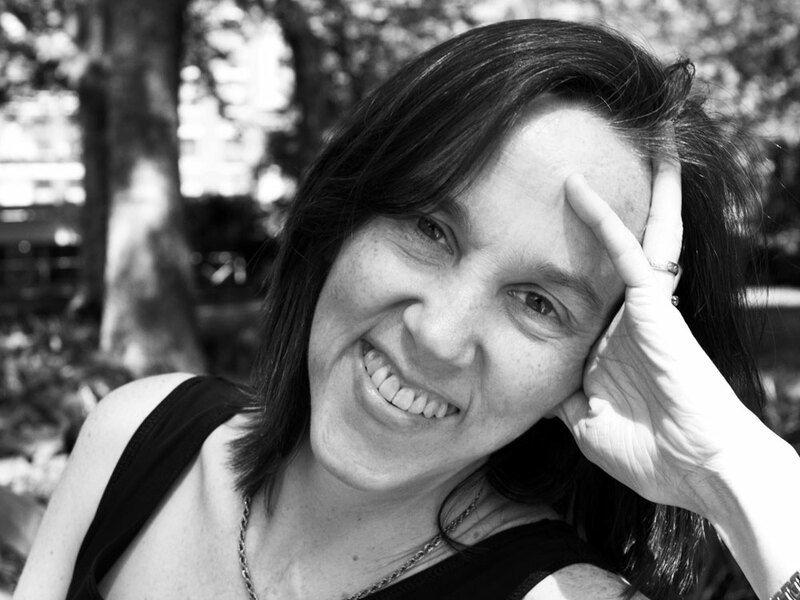 She is currently the dance critic for The New Republic, and teaches the history of dance at New York University, where she is a distinguished scholar-in-residence. Jennifer Homans has danced with the Pacific Northwest Ballet and the Chicago Lyric Opera House. She has a Ph.D. in modern European history from New York University. "From the earliest moments of ballet, the idea was to create some kind of Apollonian image — an ideal sort of body. Even the technique allowed you to modify your, perhaps, imperfect proportions. If you're too tall, maybe you would lower your arms a bit — maybe so you don't appear so high up." "I never was thinking that, because within the flow of the movement, you have complete confidence in the partner that you're working with, and so those kinds of considerations are not to the fore. Now, if you're working with somebody you don't quite trust or there's a lift that's particularly difficult, then I think there can be a certain tension. And that's something you want to try to get rid of in a performance. One of the great ballerinas once told me, 'When you start to have a dialogue in your head while you're performing, that's when you know it's gone wrong.' In a way, you want to get rid of those words and enter a different way of existing for the time that you're onstage." "You start to have a more difficult technique that even the most diligent aristocrats can't keep up with by the end of the 17th century. And then dancers are becoming professionals, and that's when you have more and more separation between the aristocrats who are watching the dance and the people who are performing it. And the dancers at that point are much more exclusively drawn from the lower orders of society. They are learning, in a way, to become aristocrats. On stage, they appear as noblemen, even if in society they're emphatically not." "It's really the point in which popular traditions feed into a high operatic, high balletic art. Marie Taglioni is the ballerina we most associate with en pointe work. She was working in Vienna at the opera house, but a lot of Italian troupes were passing through. These troupes often did tricks, and one of the tricks they'd do was to climb up on their toes and parade around. This kind of trick was then incorporated into classical ballet. It was given an elevated form, so instead of stomping around, it became an image of the ethereal, a wispy sylph or somebody who can leave the ground or fly into the air." I grew up in the intensely intellectual milieu of the University of Chicago, where both my parents worked. I'm not sure why my mother started me in dance, except that she liked to go to performances, and ballet perhaps also appealed to her Southerner's appreciation of etiquette and form. I was enrolled at a local ballet school with an old couple who had danced with one of the Russian ballet troupes that toured America in the immediate post-war years. Theirs was not, however, your average dance school. There were no annual recitals or Nutcrackers; no pink tutus with matching tights. He had multiple sclerosis and taught from a wheelchair -- patiently, exasperatedly, describing steps in intricate verbal detail as we tried, with his wife's help, to put them into movement. For him, ballet was something serious and urgent, even when it was also -- and he communicated this too -- a great joy. The teacher who set me on the path to the profession was a physics doctoral student at the University of Chicago who had himself once been a professional dancer. Ballet, he made me see, was a system of movement as rigorous and complex as any language. Like Latin or ancient Greek, it had rules, conjugations, declensions. Its laws, moreover, were not arbitrary: they corresponded to the laws of nature. Getting it 'right' was not a matter of opinion or taste: ballet was a hard science with demonstrable physical facts. It was also, and just as appealingly, full of emotions and the feelings that come with music and movement. It was blissfully mute, like reading. Above all, perhaps, there was the exhilarating sense of liberation that came when everything worked: if the coordination and musicality, muscular impulse and timing were exactly right, the body would take over. I could let go. But with dancing, letting go meant everything: mind, body, soul. This is why, I think, so many dancers describe ballet, for all its rules and limits, as an escape from the self: being free. It was at George Balanchine's School of American Ballet in New York that I first began to glimpse the world that had made ballet what it was. Our teachers were Russians: exotic and glamorous ballerinas from another era. Felia Doubrovska (1896-1981) had been born in Russia in the 19th century and had danced at the Maryinsky Theater in Imperial St. Petersburg in the years before the Russian Revolution. She later joined the Ballets Russes in Europe and eventually settled in New York City to teach, but we all knew that some part of her was still elsewhere -- in a world far from ours. Everything about her was different. She wore heavy make-up, long false eyelashes and sickly sweet perfumes, and I remember her bejeweled and dressed in a deep royal-blue leotard with matching scarf, chiffon skirt and pink tights that showed off her unusually long and still impressively muscular legs. Her movements, even when she wasn't dancing, were gracious and ornamented, elegantly conveyed in ways that we, American teenagers, could never quite replicate. There were others too: Muriel Stuart, an English dancer who had performed with the legendary Anna Pavlova; Antonina Tumkovsky and Helene Dudin who were both from Kiev and had emigrated to the States after the Second World War (Dudin's feet were crippled; it was rumored the Soviets had broken them); and perhaps most striking of all, Alexandra Danilova, who had fled Leningrad in 1924 with Balanchine. Danilova was like Doubrovska: a former Imperial dancer inclined to pastel chiffons, spidery false-eyelashes and fragrant perfume. She had been an orphan in Russia but we never for a moment doubted her aristocratic pedigree: she coached us on carriage and comportment – in dance class but also in life -- no t-shirts, slumping or street-food -- reminding us that our training and chosen profession set us apart; dancers do not look like 'the rest'. All of this seemed to me at once perfectly normal and extremely alien. Normal because we knew that these were the masters and understood that they had something important to convey. Besides there was something about standing so straight, about the body working so beautifully and about our dedication and intense desire to dance that did set us apart. We really were, or so we thought, an elect. But the whole thing was also alien: nothing was ever really explained and the teaching seemed arbitrary and authoritarian. We were expected to imitate and absorb, and above all to obey: "please to do" was all the Russians could muster and "why" was met with bemusement or flatly ignored. Inquiry was stifled and we were forbidden to study elsewhere (one of the few rules we blithely ignored). None of this sat well: we were children of the 1960s and this insistence on authority, duty and loyalty seemed outrageously old-fashioned and out of place. But I was too interested in what these Russians were doing to quit or go away. Finally, after years of study and watching, I realized: our teachers were not just teaching steps or imparting technical knowledge, they were giving us their culture and their tradition. 'Why' was not the point and the steps were not just steps; they were living, breathing evidence of a lost (to us) past -- of what their dances were like but also of what they, as artists and people, believed in. Ballet, it seemed, was another country. I had queued (with my mother) to see the Bolshoi and the Kirov; stood squashed in standing room at the back of the Metropolitan Opera House to see American Ballet Theater and Baryshnikov; crowded into class to watch Rudolf Nureyev execute a ballet barre. And it was not just ballet: New York at the time was a dynamic center of dance and we studied and saw everything: Martha Graham, Merce Cunningham, Paul Taylor; jazz, flamenco, tap; the small experimental troupes that performed in the city's studios and lofts. But to me there was one overriding reason to dance: the New York City Ballet. These were the final years of Balanchine's path-breaking career and the artistic and intellectual vitality of his company was electrifying. We knew that what he was doing was important and we never for a moment questioned the primacy of classical ballet. It was not old or 'classical' or dated: to the contrary, dance was more intensely alive and present than anything we knew or could imagine. It filled our lives, and we analyzed its steps and styles and debated every rule and practice with almost religious zeal. In the ensuing years, as I joined the profession and danced with different companies and choreographers, I learned that the Russians were not the only ones. 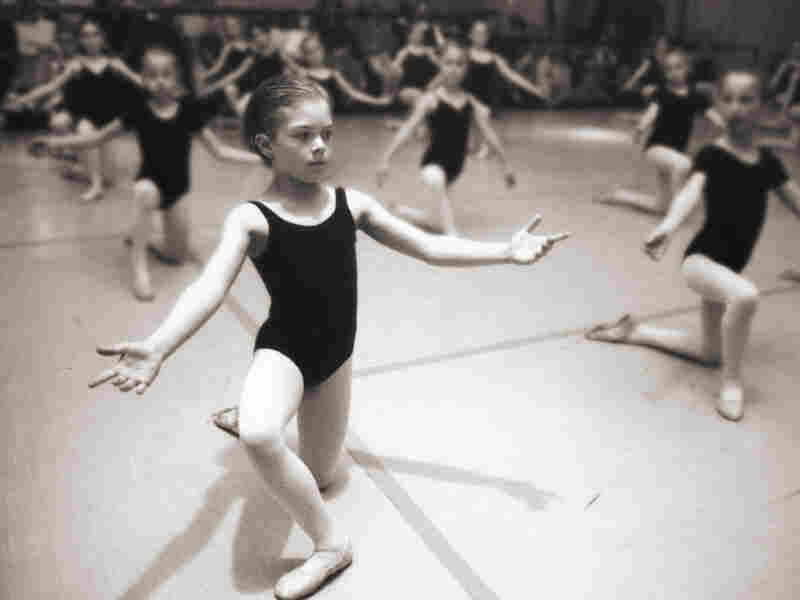 I worked and performed with Danes and with French and Italian dancers, tried the Cecchetti Method (developed by an Italian ballet master) and attempted to unravel the intricacies of the syllabus set by Britain's Royal Academy of Dance. There were other Russians too: Soviet dancers whose technique differed sharply from that of Doubrovska and the Tsar's former dancers. It was a curious situation: the language and technique of ballet appeared ideal and universal, yet these national schools were so utterly distinct. Americans trained by Balanchine, for example, raised their hip in arabesque and engaged in all manner of distortions to achieve speed and a long, aerodynamic line; British dancers were horrified and considered these distortions in poor taste; they favored a more restrained, reserved style. The Danes had pristine footwork and quick, light jumps, achieved in part by dancing neatly towards the balls of the feet; but if you didn't put your heels down you would never gain the soaring elevation and leaps that characterized the Soviets. The differences were not merely aesthetic: they felt different -- moving this way instead of that could make a dancer, for a moment, into a different kind of person; Swan Lake (1895) was a world apart from Agon (1957). It was impossible to master all of these national variations; dancers must chose. To further confuse matters, each 'school' also had its heretics: dancers who had discovered some better way of organizing the body and had 'split off' with their own coterie of followers. Who you studied with – which master or sect you followed -- determined who you were and what you wanted to become. Sorting through these debates, with their Jesuitical distinctions and knotty interpretative (and personal) dilemmas, was intensely absorbing -- and very physical. It was only later that I began to wonder how and why these national differences had come to be. Did they have a history? What was it? Printed with permission from Apollo's Angels: A History of Ballet by Jennifer Homans, Random House, copyright 2010.